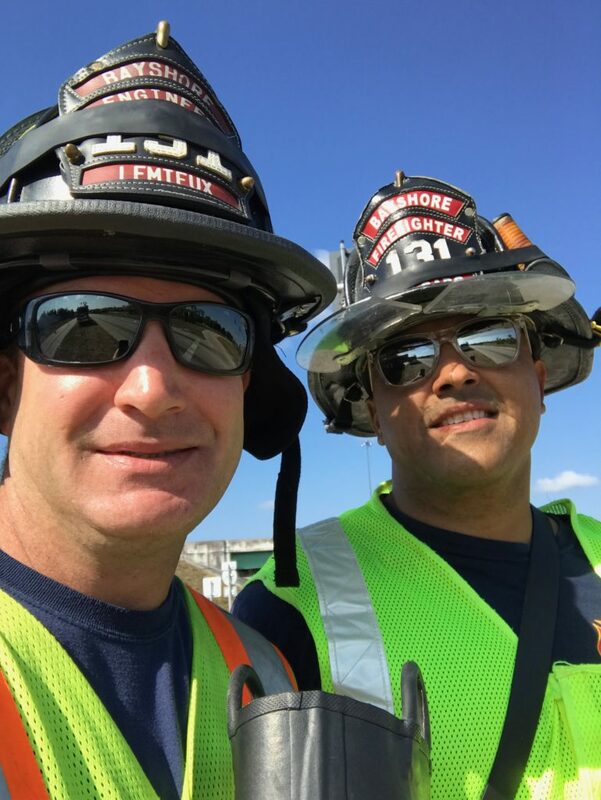 Editor’s note: Since this story was written, Local 1826 and fire fighters across the southeast have continued to go above and beyond to help communities recover from the devastating effects of Hurricane Irma, including supporting our local families. For example, the local was able to deliver a generator, gas and food to an MDA family impacted by the storm and helped another family with cleanup after their home flooded. They also offered office space for MDA staff after the MDA offices in Fort Myers experienced water damage. We continue to be in awe of their selflessness and commitment to our families and cause. Throughout the year, members of the Southwest Florida Professional Firefighters and Paramedics Local 1826 are on the street corners, with a boot in their hands and smiles on their faces, gathering donations from generous drivers. And when wildfires rage across Florida and staffing is stretched thin, they still make the fundraiser happen. Sometimes they even dance. For these dedicated members of Local 1826, the weekend fundraising event is tradition – they have been participating in Fill the Boot drives for more than 60 years, since the unique fundraiser paired fire fighters — and a cadre of battered, empty fire boots — with the MDA. Nineteen fire stations participate, with 200 fire fighters covering 17 or more intersections in southwest Florida. The local goes the extra mile because of its strong connection to MDA’s mission. 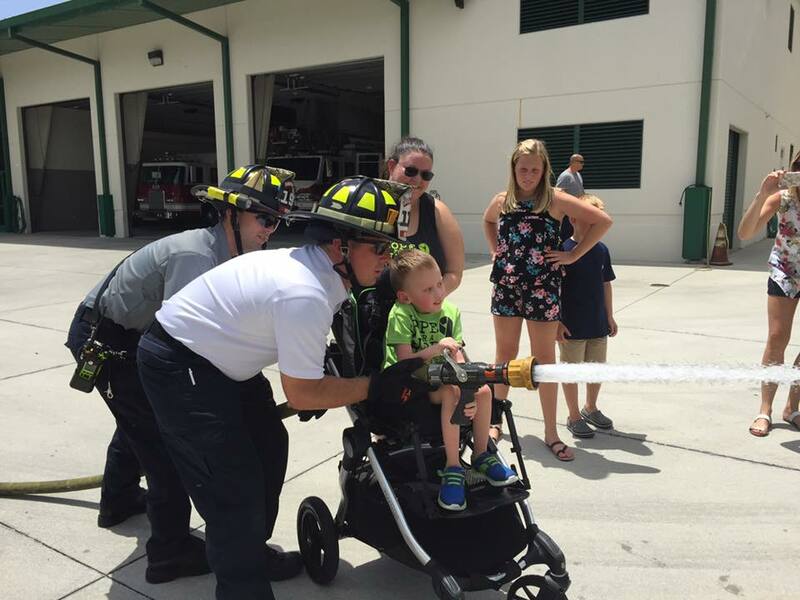 “The IAFF and MDA both have been long-standing traditions for our family, even before our son, Carter, was diagnosed with Ullrich congenital muscular dystrophy,” says Tara Rhodes, grand-daughter of Leroy Nottingham, a retired captain with the local and longtime MDA liaison for Fill the Boot. So when a disease that had once been somewhat abstract became all too real for Tara and her family, she turned to the organization her grandfather had so faithfully helped for so long. From there, the healthcare coordinator from the Fort Myers office helped Tara and her family get an appointment six short weeks later at Nemours Children’s Hospital in Orlando to meet with Dr. Richard Finkel, one of the few neurologists in the southeast United States who is knowledgeable and actively treating other Ullrich CMD patients. 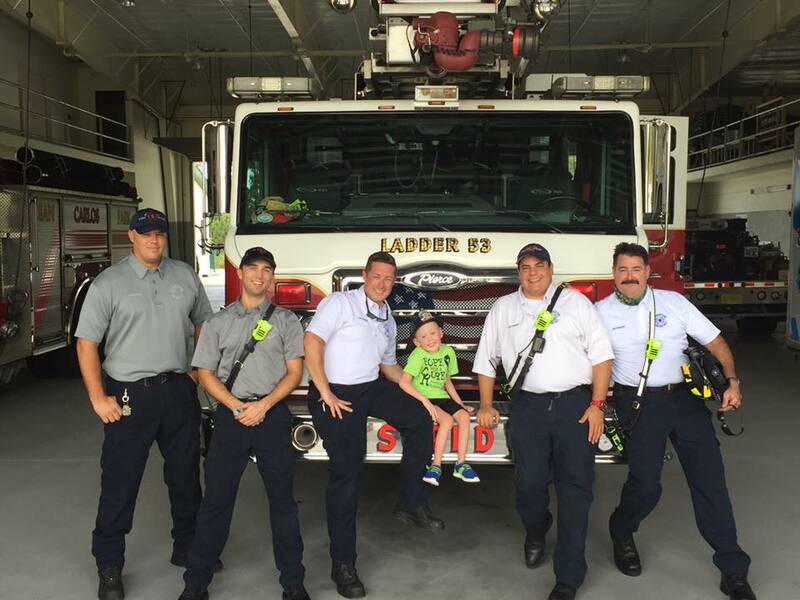 Carter’s great-grandfather will be turning 80 in early September, and he still tries to speak and encourage fire fighters across Florida to Fill the Boot for Carter. It’s made all the difference to his own family. “Without the MDA, I’m not sure how long it would’ve taken us to get in front of the best doctors, ones that could give us hope and encouragement as Carter gets older,” Tara says. So it’s for Carter and the many other MDA families in their area that fire fighters brave brush fires and still make it out to Fill the Boot. They do it because standing at an intersection in the swampy Florida heat doesn’t compare to what families facing muscular dystrophy face. And, sweating on a street corner definitely pays off for this good cause. Just last year an unknown driver dropped a check for $1,000 into one of the boots. This year, Local 1826 raised $170,000 and for the past few years has been a top fundraiser. The funds go to everything from sending a kid to MDA Summer Camp to getting kids the best clinical care with world-renowned doctors at MDA Care Centers. It’s all thanks to the generosity of the community and the dedication of the fire fighters. Help adults and kids like Carter live longer and grow stronger.